Welcome to all #dlchat, DLN blog users and anyone who coordinates – or is planning to coordinate – a group of students to help encourage better use of ICT around school. We now have a framework for accrediting digital leaders at three different levels and badges will be ready to use from September onwards. 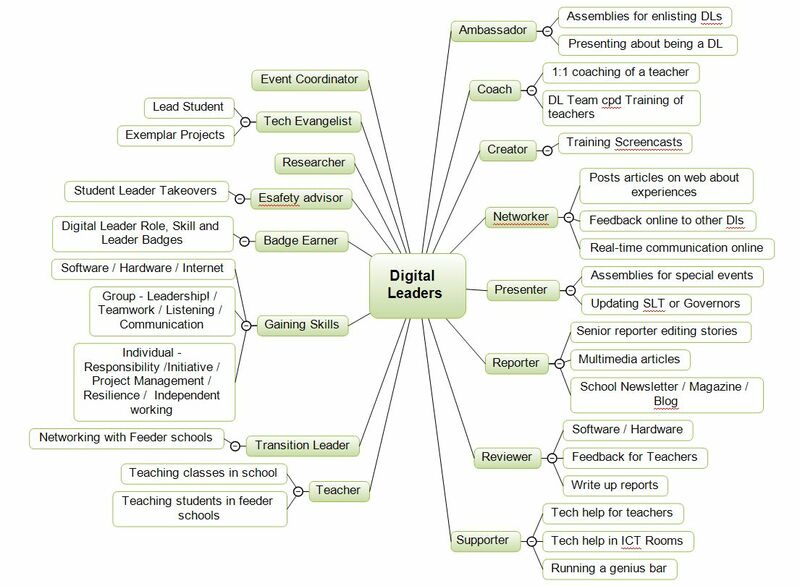 Paul Scott and I have been writing a framework for Digital Leader Open Badges with support from DigitalMe and Makewaves. We now have a framework, badge designs, and have started developing the step-by-step tasks needed for students to complete each mission and gain a badge. We now have a L1 and L2 framework, with ideas for L3 (L3 is harder to construct…), and to show how Digital Leaders can progress over time, we now have live Reporter missions at Levels 1, 2 and 3. Go to the Digital Leader Network on Makewaves to find out how to join (for free) and have your DLs follow missions and be awarded badges. There continues to be a great of interest about Digital Leaders shown with #dlchat, DLN, and DLN Makewaves, with increasing numbers in primary schools and to a lesser extent, secondary schools – see briefing sheet for summary. However, what we need to do is bring together the different experiences of digital leader coordinators and share good practice. Following discussions with @triches, @chrismayoh and @naace at #bett14 this year, @Pederosa and @gr8ict have been working together, with encouragement from @triches, to make a start. “an easily understood framework for running digital leaders in years 3/4, 5/6 and 7/8/9 that encompasses current practice, breaks it down into small tasks, and means that digital leaders can progress through these key stages developing their leadership and technical skills. This means potential digital leader coordinators will have an easy route into starting digital leaders at this important stage in the new computing curriculum. It will also enable the use of digital leader #openbadges with simple and shared criteria (missions) for digital leaders to progress over a period of time in both primary and secondary schools”. “A team of enthusiastic students who work with teachers and students on regular or one-off projects to improve improve learning with digital technologies”. 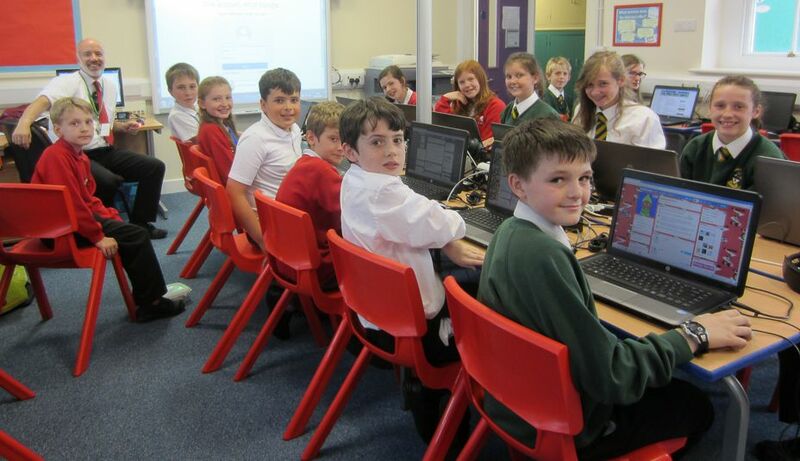 I am working with a group of North Yorkshire schools to continue to develop a network of digital leaders in North Yorkshire, following North Yorkshire Digital Leaders’ Conference – #DLNY13 – 21st June 2013. Click on slideshare and download the ppt to read the commentary as well as the slides. Accreditation through Digital Leaders badges – a sustainable way of Digital Leaders gaining credit for the roles and skills they develop. Chris Sharples recommends that we should focus on a broad and balanced computing curriculum, which includes computer science, but is not taken over by it. We need to find new ways for young people to demonstrate the digital skills required by employers. Ahead of BETT14, I was invited last week to a Stone Group roundtable debate hosted by Simon Harbridge, CEO of Stone Group. There was a broad range of people from industry, education and non-profit organisations, with a brief to develop concrete suggestions to “How do we bridge the gap between education and the real world?”. This is a question that I am always trying to address as a Head of ICT in a North Yorkshire comprehensive. My colleagues and I need a broad and balanced computing curriculum to continue to offer pathways for our students into a spread of IT industries. I do not recognise our ICT curriculum as being “boring” or “clearly inadequate” (Michael Gove, “What does it mean to be an educated person?” 09-05-2013) and neither have OFSTED who in their last two visits judged our ICT lessons “outstanding” as did our LA using the new framework in July.